Sorry that the image is really big. 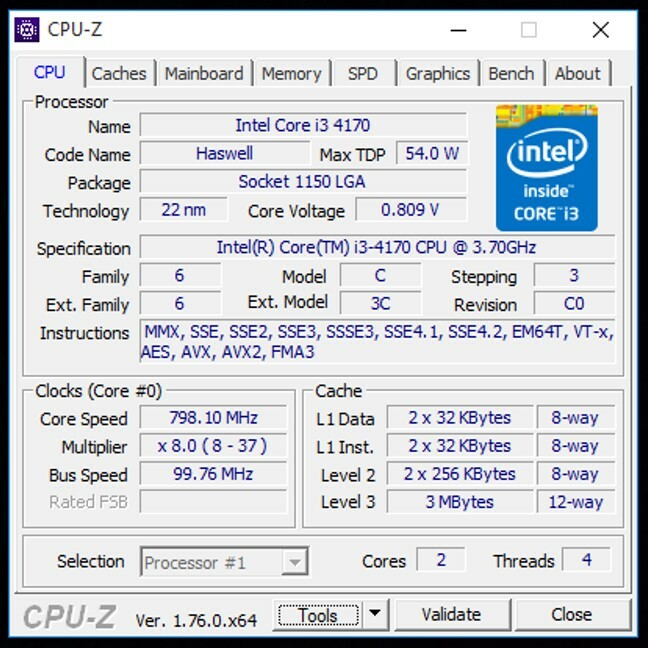 I know that it shows 2 Cores and 4 Threads. I now have another question. I can not disable Hyper-Threading so when I am using Fritz 15 I can use either 2 or 4 cores. I know I should only use 2 because those are the number of physical cores but when I do this I only use 50% of my CPU Power and when I use 4 cores (threads), my CPU uses 100% of my CPU Power. Your system has a Haswell cpu and in your Instructions you see AVX2 -> means best use BMI2 compiles!! If you can't disable HT OFF in Bios (during boot press Delete to enter Bios) is it very normal you see 50% cpu usage..only thing you have to check is if the cpu using both real cores..there exsisting programs to select Processor Affinity to let a program use only these real cores..of course easiest way is to put HT-Off in Bios.. Thanks Ipman. I was able to disable Hyper-Threading through the BIOS and now I am installing engines that support the BMI2 instruction.